UMEZ provides loan capital from $1 million to $10 million to projects that provide new job creation and substantial economic growth in Upper Manhattan. We are typically a subordinate loan that augments (or “gap funds”) the amount of private capital to create a stronger capital structure for the project. These loans are aimed at small business formation and/or expansion to create local wealth and economic vitality for Upper Manhattan. These loans may be senior or subordinated financing, depending on other sources of capital for the project, and are set at below-market fixed interest rates, with flexible maturity terms based on the cash flows, job generation, and level of collateral for the project. These are real estate secured loans for large commercial development projects that can serve as catalysts for job creation and transform the physical landscape of our community. UMEZ provides subordinated debt financing on flexible terms; sizing is based on the level of jobs created and overall economic return for the project. Loans may be used for construction and/or mini-permanent financing. Preference is given to projects where a senior lender has already been identified for the project. The process begins informally with a discussion with a UMEZ lending officer. After the project is deemed appropriate, an application and any pertinent project-related information that may be requested are submitted to begin the underwriting process. The underwriting process ends with final loan approval by the New York Empowerment Zone (NYEZ). The entire process typically requires two to three months to complete. Prospective applicants are encouraged to meet with a UMEZ lending officer before applying to informally explore the appropriateness of potential funding by UMEZ. Please call (212) 410-0030 to discuss your business and funding needs. In addition, all applicants must enroll as a vendor with New York City's Mayor's Office of Contract Services (MOCS) in order to obtain loan approval. Vendors must first create a NYC.ID and then enroll with PASSPort. The following guides can help explain the process and how to fill out the Vendor and Principal Questionnaires online. If you have issues or need additional help with PASSPort, contact the Help Desk at MOCS. UMEZ closed on a $10 million loan in 2015 to finance the redevelopment of the decommissioned Victoria Theater. The Victoria Tower will replace the legendary theater, neighboring the Apollo Theater on 125th Street. The development is expected to create significant benefits for Upper Manhattan, including the creation of approximately 575 construction jobs and 373 full-time positions. The project will have a significant impact on unemployment in the area, since many of the permanent positions are introductory jobs that will enable local residents to enter the workforce. 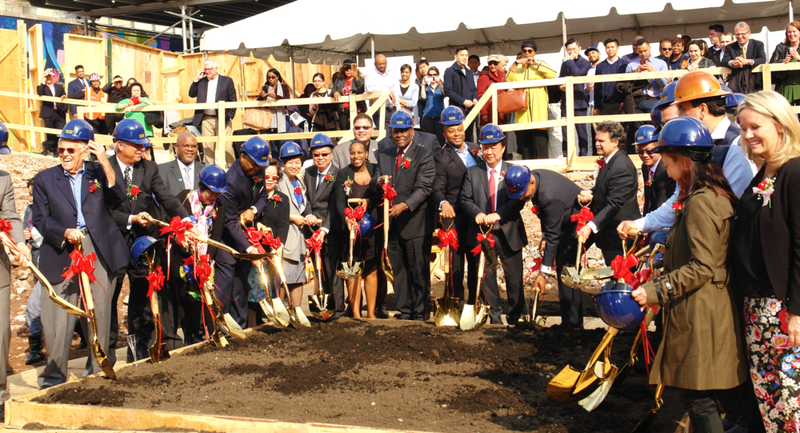 An additional benefit of the project is the creation of 95 affordable housing residential rental units. 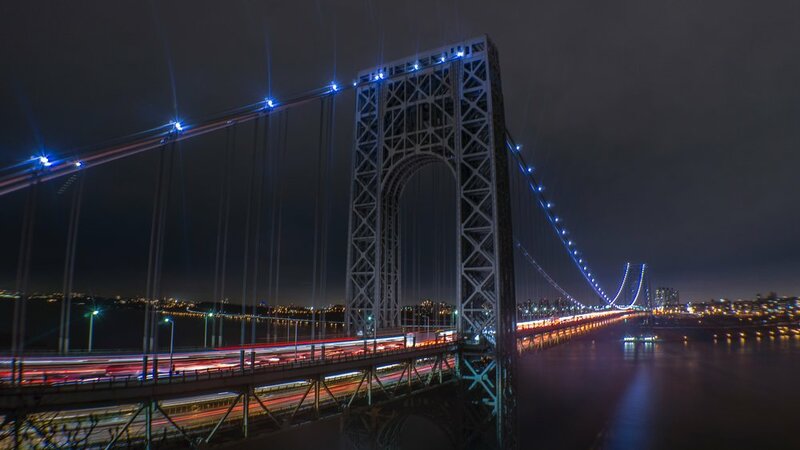 UMEZ announced that developers closed on a $5 million loan to assist with financing the commercial renovation of the George Washington Bridge Bus Terminal in 2018. The $108 million renovation of the commercial space was led by experienced developers, SJM and Slayton Ventures, to modernize the bus facilities and create over prime retail space for both local businesses and large retailers. The renovation will benefit the area from increased economic activity because of the accessibility improvements and expanded retail offering. Harlem USA is a 275,000 square foot shopping complex at 125th Street and 8th Avenue. The Harlem USA project was financed by a combination of public and private investment, including a $11.2 million loan from UMEZ. The complex contains the Magic Johnson Theatres, New York Sports Club, and Old Navy among other retailers. Construction on the shopping complex generated 200 jobs with another 500 permanent jobs created for community residents. Harlem USA helped increase the area’s visibility and enhance business activity in the community through increased foot traffic. UMEZ provided a $15 million loan and $40 million in Empowerment Zone Bonds to East River Plaza. East River Plaza was the first big-box retail center with storefront parking in Manhattan. East River Plaza is located in East Harlem and encompasses approximately 6.2 acres along FDR Drive between 116th and 119th Streets. The 1.2 million square foot development includes roughly 482,000 square feet of retail space on 5 floors, a parking facility, and a small office building. The project created 1,200 permanent full-time jobs and 1,000 construction jobs.